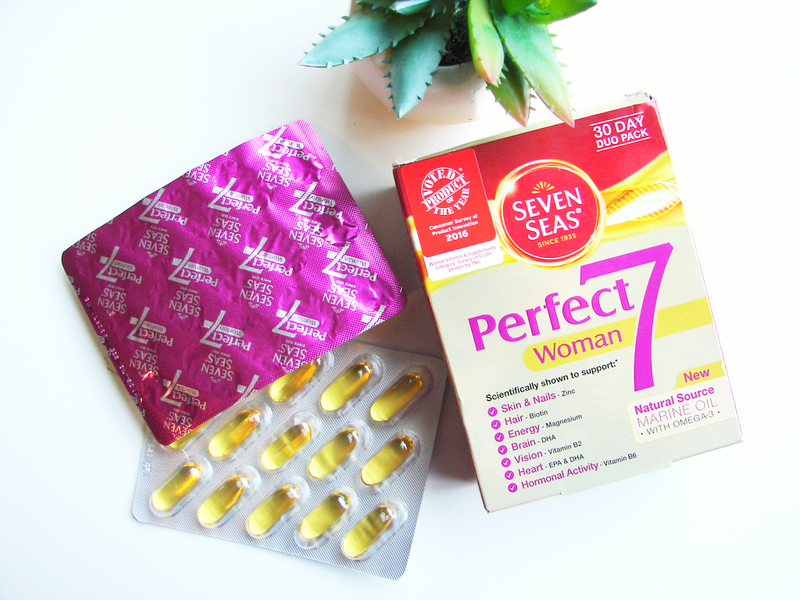 Seven Seas' Perfect Seven supplements target the seven main vitamin and mineral needs for women; skin & nails, hair, energy, brain, vision, heart and hormonal activity. It's been widely documented that certain vitamins supplements such as biotin can be incredibly effective at helping hair to grow faster and stronger. Biotin is a B Vitamin which reacts with cell enzymes to create amino acids which in turn aid the forming of proteins that are used to help strengthen hair and maintain the growing cycle. Hair loss is often linked with Biotin deficiencies, so the inclusion of this important vitamin within Seven Seas supplements could be a easy and efficient way of getting this hair growth boost into your system. Another element which I am excited to test the impact of is zinc. Zinc deficiencies (and, it's worth noting, excesses) have also been linked to hair loss by scientists. Zinc is key to building healthy cells, aiding the absorption of minerals and regulation the hormonal balance- the latter being a key reason as to why it has been considered important to hair loss/growth. It may not be something that is well-known, but zinc helps to maintain some of the most essential processes within your body, for example, cell reproduction and protein synthesis. These two examples are connected to the appearance of skin and strength of nails and hair. Taking these Perfect Seven supplements is another way in which you can give your body a little nudge in maintaining these things. Lastly, although the other four categories are important, the issue of energy is personally a big one for me. Stress-levels and feeling low (which are often inextricably linked to disorders like trichotillomania) means that I seem to be constantly lacking the energy I need to see me through a busy day. I'm lethargic, quite frequently have issues concentrating and find I have to go to bed very early every night to get the rest my body seems to need! Having become a little bit dependant on coffee to see me through the day (bad habit, I know), I am curious to see the effects of magnesium on my energy levels. Magnesium is another integral component needed to help your cells' daily functions. Dubbed as a 'chemical battery', magnesium powers these cellular functions, such as the breaking down of glucose into energy. So, science lesson over! 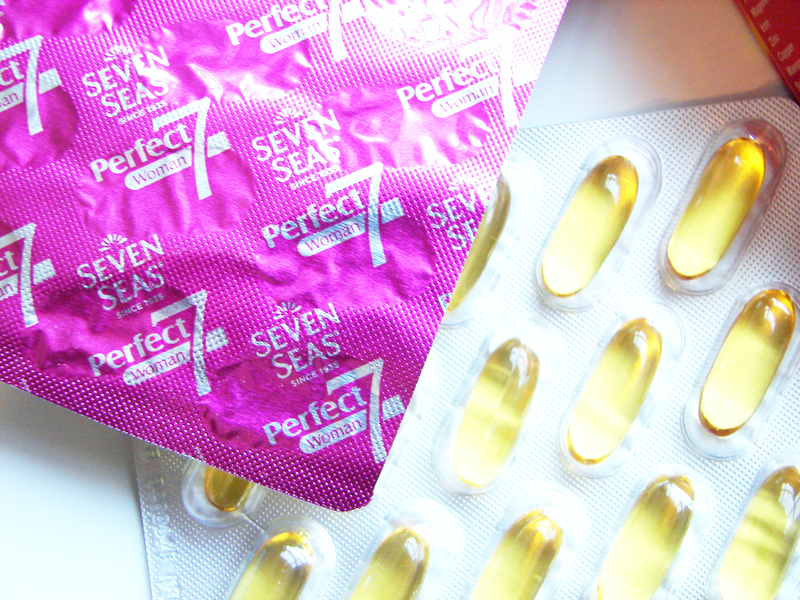 These Seven Seas supplements seem to talk the talk, but over the next month I will be seeing if they turn this talk into results. The three categories mentioned above are my main concerns, but the broad variety of issues that these supplements can help just goes to show how efficient these can be in not only targeting your personal concerns, but also improve your well-being generally. Taking one capsule and one tablet each day, I'm hoping to see improvements to my hair, skin, nails and energy levels after 30 days. It's about time I tried to boost my body from the inside out in a bid to help repair the damage my dermotillomania and trichotillomania has caused. I will pop an update at the bottom of this post after my 'trial' and also document my experience on social media, so watch this space! 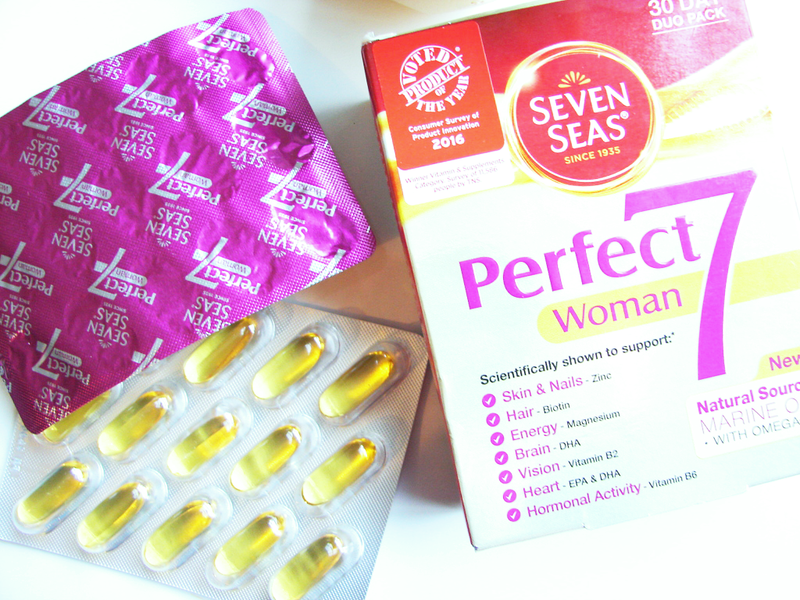 Seven Seas are available in most supermarkets, health stores and Boots / Superdrug and cost only £10.49. Have you seen results from taking supplements? Which of the seven areas would you want to focus on? This is a sponsored post in collaboration with Seven Seas.